The Georgia Historical Society’s 2014 Trustees Gala “Mojo Nights” a sultry, southern, spellbinding evening was held last Saturday at the Hyatt Regency. 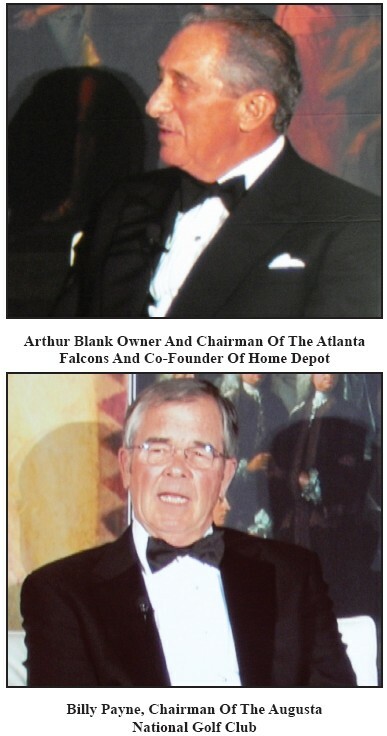 The evening was highlighted with the appointment by Governor Nathan Deal of the 2014 Trustees, Arthur Blank owner and chairman of the Atlanta Falcons and co-founder of Home Depot and Billy Payne, chairman of the Augusta National Golf Club. In conjunction with the Governor’s Office, the Georgia Historical Society reestablished the Georgia Trustees to recognize Georgians whose accomplishments and community service reflect the highest ideals of the founding body of Trustees. The program included lively conversation with the inductees and other local, state, and national leaders. On February 12, 1733, James Oglethorpe and the other 23 Georgia Trustees founding the colony of georgia at Savannah. The Georgia Historical Society commemorates the this important anniversary annually by promoting the study and preservation of our state’s rich history through the delivery of exceptional engaging educational programming and family friendly events.